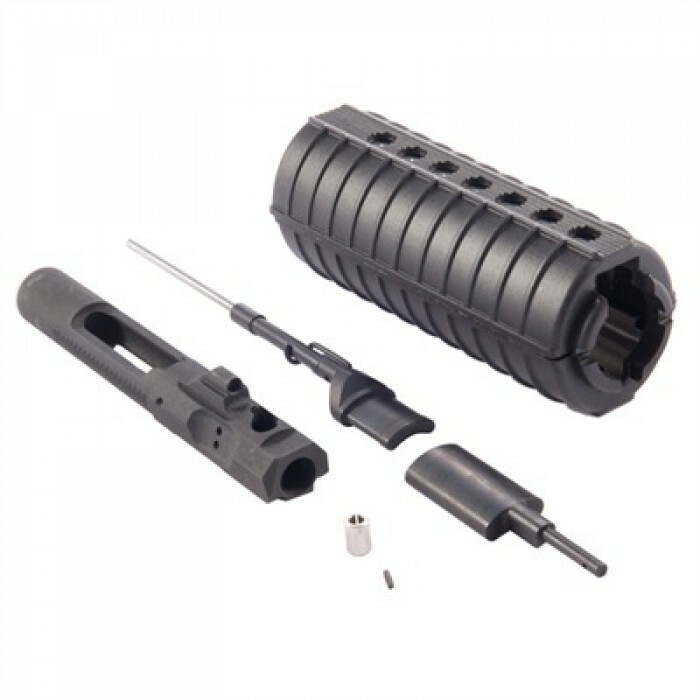 Drop-in gas piston conversion kit installs in only five minutes and improves the reliability and function of your AR-15 by eliminating fouling caused by gas venting into the receiver. 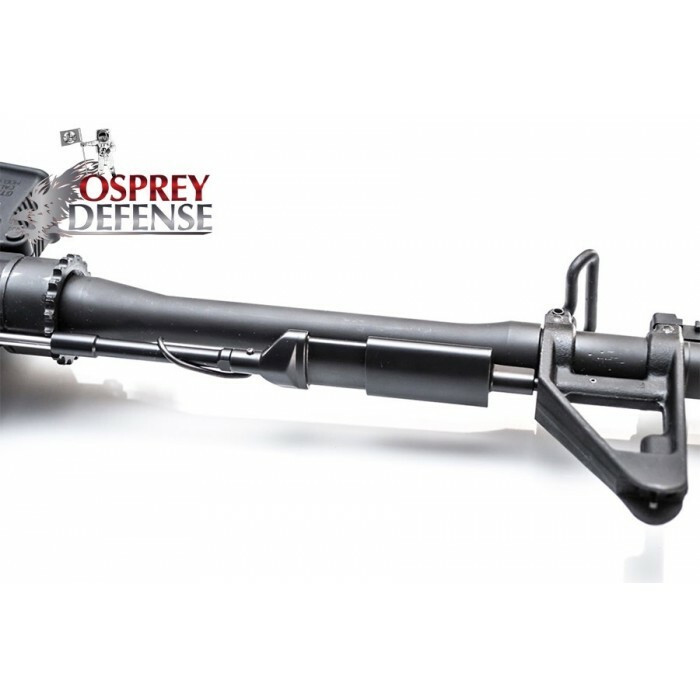 Rifle runs cooler, with less frequent need for cleaning and less wear on carrier and bolt - resulting in longer service life from these critical parts. The unique, kidney-shaped cross-section of the piston and piston chamber provides extra mass and surface area to evenly spread out gas pressure and reduce felt recoil, allowing you to stay on target for rapid follow-up shots. 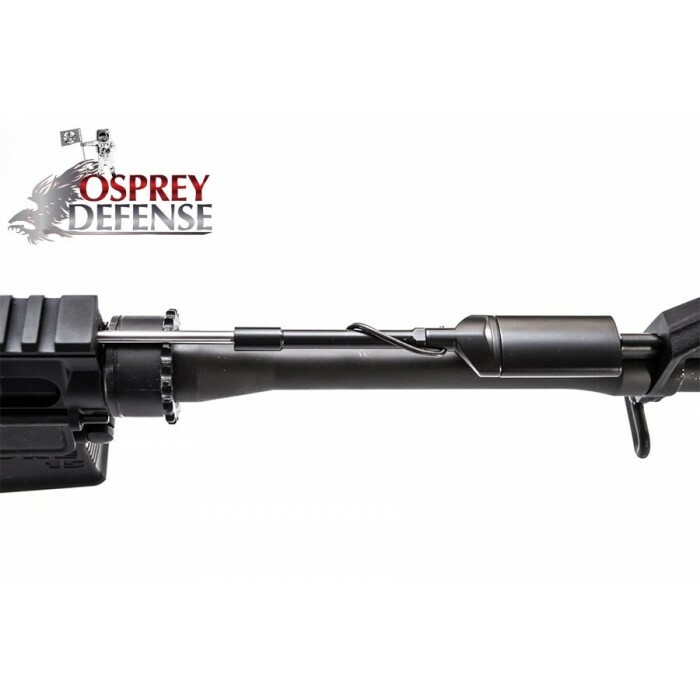 Installs in minutes on both semi- or full-auto/burst rifles with a barrel O.D. of .875" or less. No need to remove gas block/sight tower, and no permanent alterations to barrel or upper receiver - reinstall original parts at any time. Replacement bolt carrier with integral lug is machined from a single piece of steel for a lifetime of use. 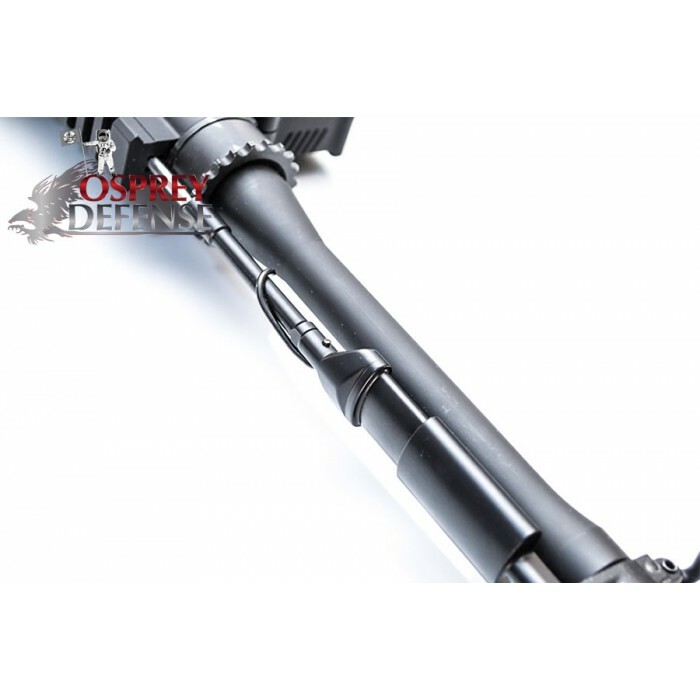 Models available to fit Carbine, Mid-Length and Rifle gas systems.